While other companies have moved manufacturing facilities south of the border, Bradford White has invested in American jobs. As demand for their products grows, they continue to expand our manufacturing facility into numerous locations and hire American workers who take great pride in building the best products the industry has to offer. They are wholesalers as they are are dedicated to they strive for their customers, the community as well as to the professional contractor. They are EPA certified and they have commercial and residential water heaters. They are HARI certified which deals with energy factor and are energy star rated. 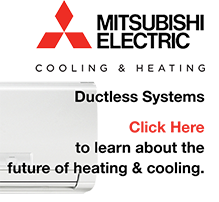 Check out why they are built-to-be-best and what their water heater entails! Bradford White’s limited warranty covers both the glass-lined tank and component parts for leakage or other malfunction caused by defects in materials and/or workmanship. Bradford White extends to the first buyer and to any subsequent owner as long as the water heater remains installed at its original place of installation. Find out more information their warranty information.